While a brunch menu at a nearby bistro seems inviting it’s always a joy to cook in your own kitchen When you feel at home in the kitchen you can put more time and love into the food you make for yourself and those you love. Cooking brings out our creativity and challenges us to be resourceful. How, then, do you make a kitchen work when your pantry is overflowing and your counter space is eaten up by appliances and tools? Read up on our guide to maximizing kitchen storage space. We have some tips that can help make any kitchen more functional and beautiful. Ready to make cooking at home fun again? Storing utensils in drawers is a waste of time and space. 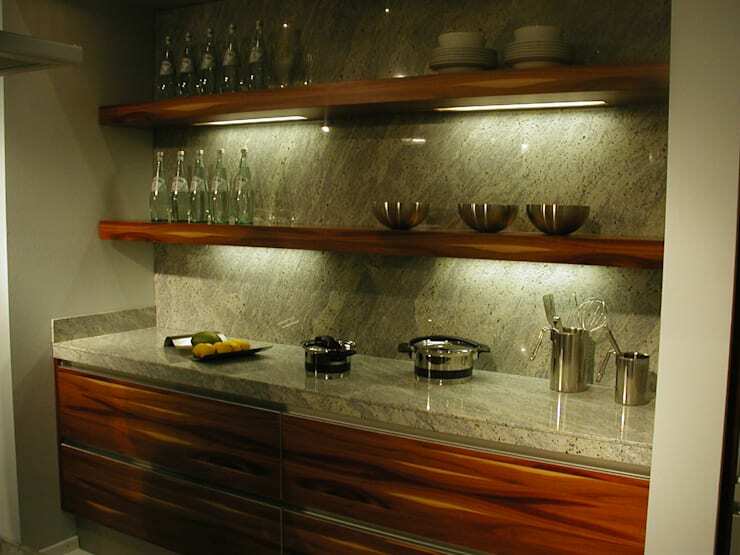 We recommend using the wall space and even hanging items underneath the cupboards. Have your high quality kitchenware on display. It's better to see your most beautiful pieces everyday. It's better than having them sit clandestine in a drawer. Free up drawers by keeping your favourite pieces in their rightful place. 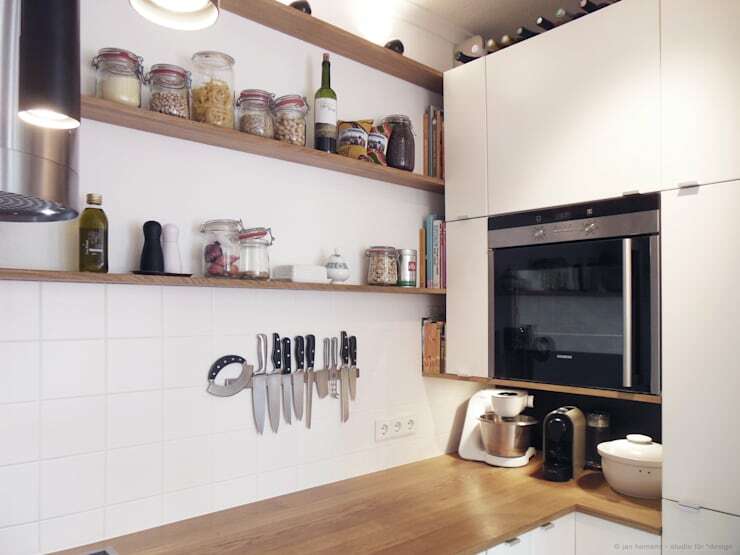 Open cabinets and shelves are ideal for storing your foodstuffs and kitchen gear. It’s easy to see where items are instead of digging around cabinets in the dark. 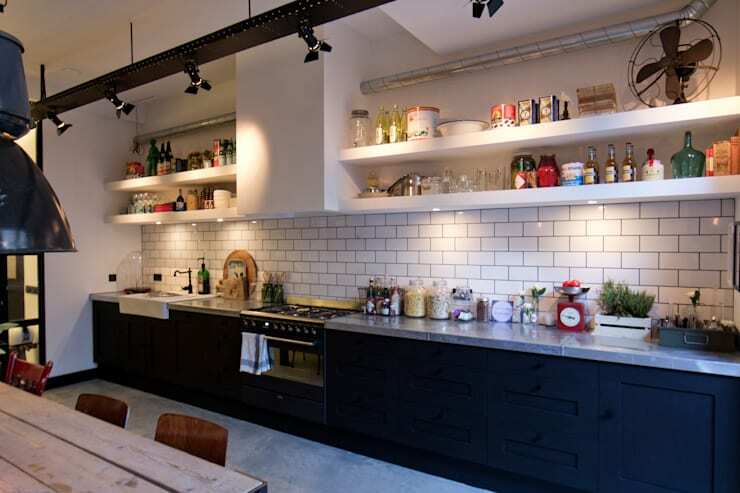 They also create a homey atmosphere in the kitchen and make you more considerate of your belongings. Use shelves, bins, and boxes that are all easy to clean and water resistant since it can get messy in the kitchen. Waterproofing your storage means that it will work better and last longer. Still need help with kitchen storage? 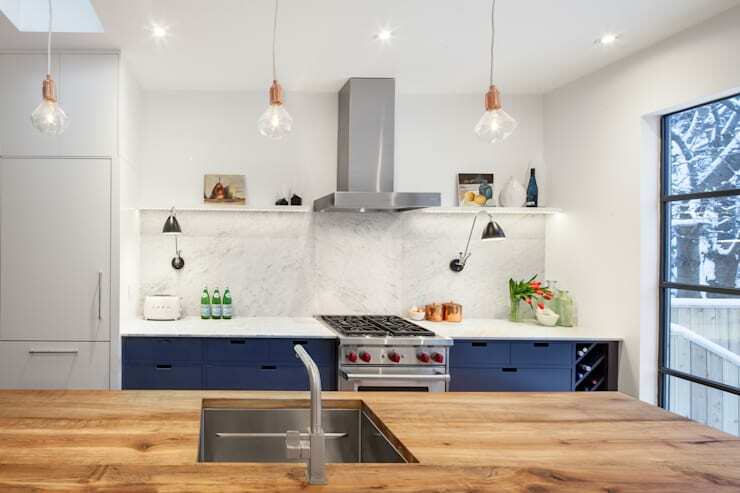 Let homify connect you with kitchen planners today. How much time have you spent in the fridge looking for something? What were you looking for, was it inspiration? A snack? An ingredient for a dish? Having a well organized fridge will save you time and electricity. You don’t need to rely on the storage bins and shelves that the manufacturer provided. Install your own shelving or drawers to maximize the space in the fridge and minimize wasted time! Kitchens should be functional and beautiful. You can absolutely decorate it to suit your style! Throw in an unexpected decor piece in the kitchen to show off your personality. Carefully choose the kitchen items you keep on display. It helps you create a cohesive theme. Don't overwhelm it with knick knacks. There are so many fun small appliances these days! It’s more than just toasters and blenders. There are quesadilla makers, waffle makers, juicers, espresso machines, and more! To keep your storage situation under control, only keep appliances you use often. Keep the appliances small, like a two slice instead of a four slice toaster. Our final tip for your kitchen storage is to not overthink it. Simple solutions are often the most elegant and useful. This kitchen has a few accessories on display that get used most often and the rest are tucked away. Thanks for checking out our guide to getting the most out of your kitchen storage! 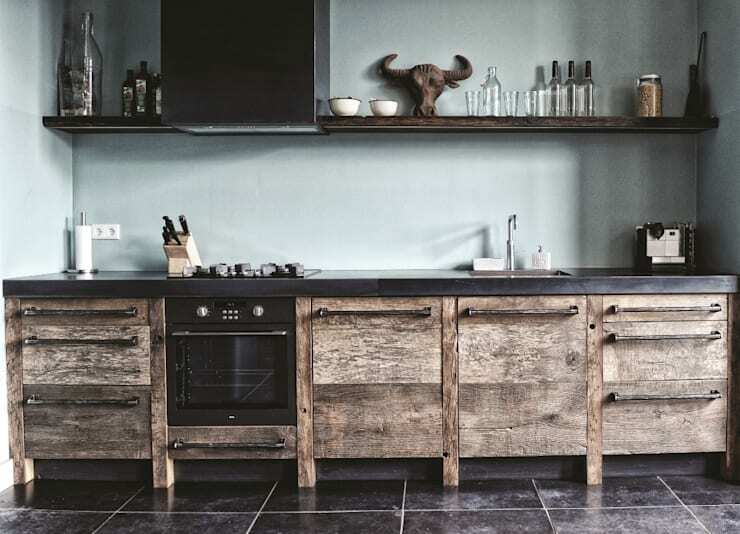 We hope that you’re inspired to think of ways to make your kitchen stylish and functional. For more ideas check out our feature on 7 thrifty ways to decorate your kitchen. What storage problems to you have in the kitchen?